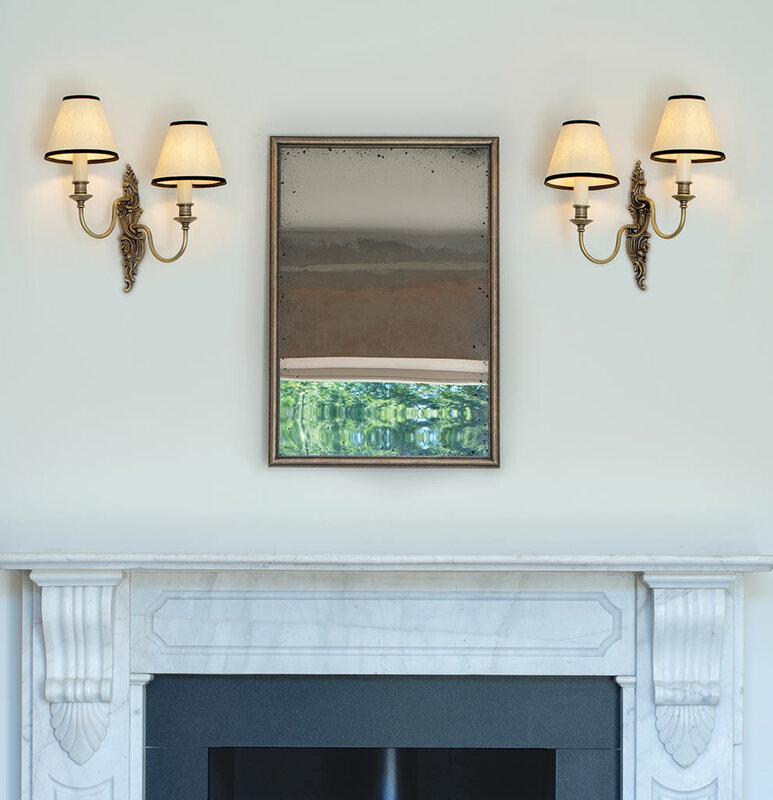 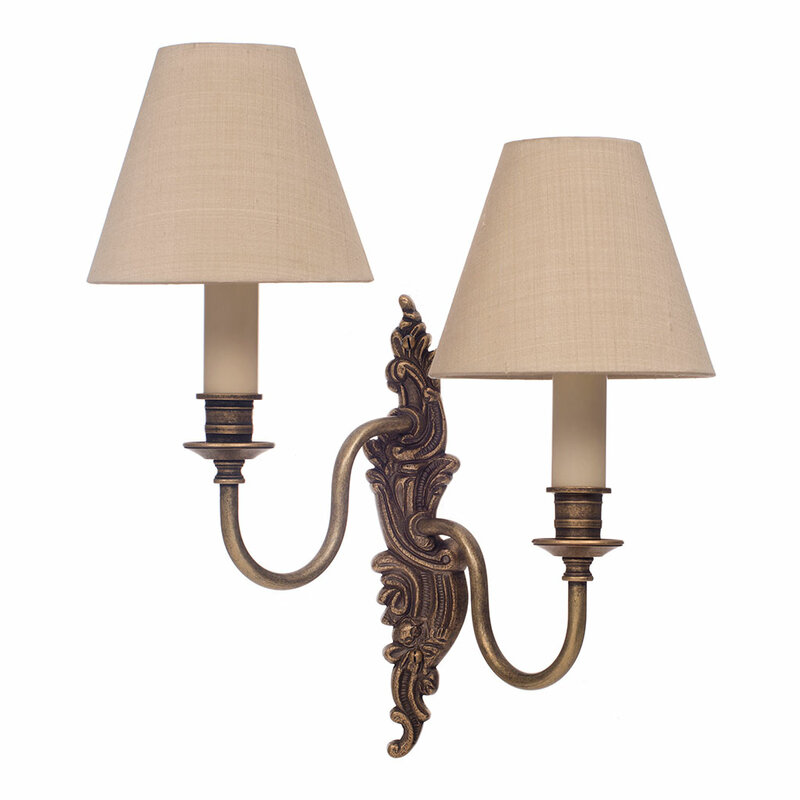 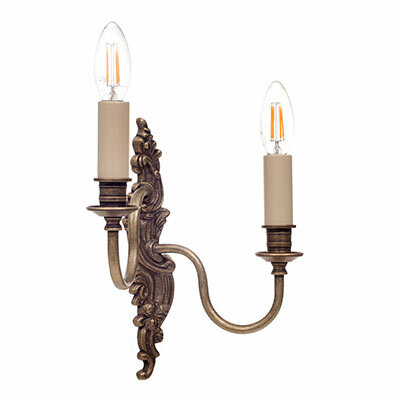 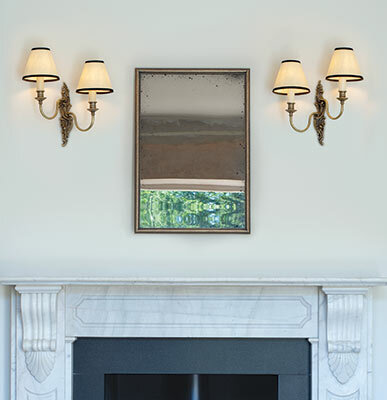 These elegant Rococo style lights are available as a left or right handed version, so that they can be used as mirror images on a wall. 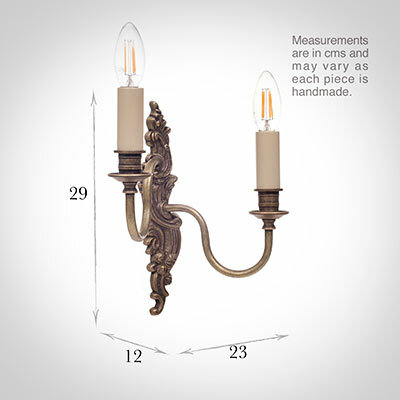 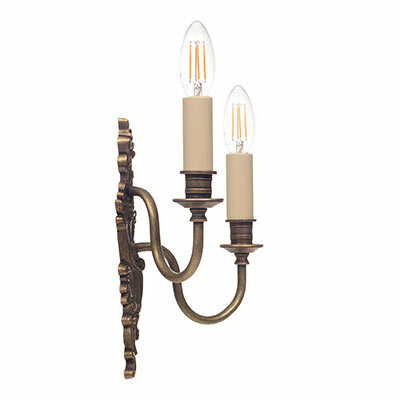 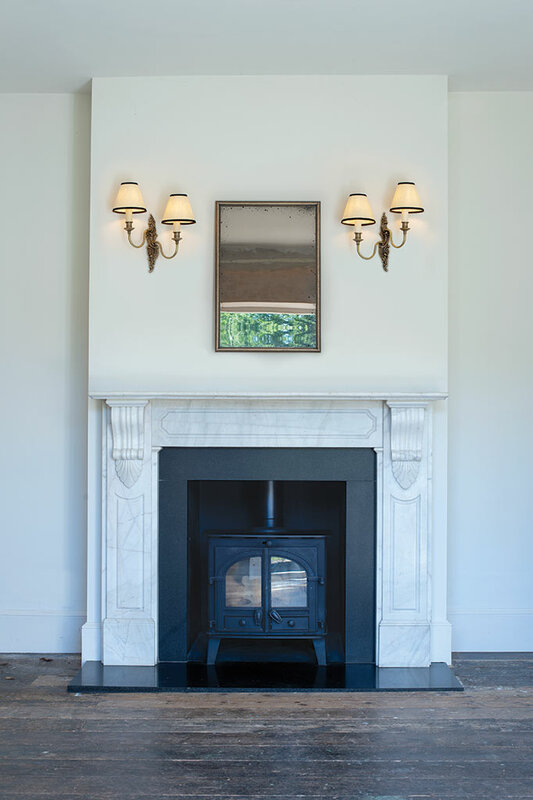 The variation in height of the arms on the wall light creates a completely different, asymetrical look compared to other wall lights. 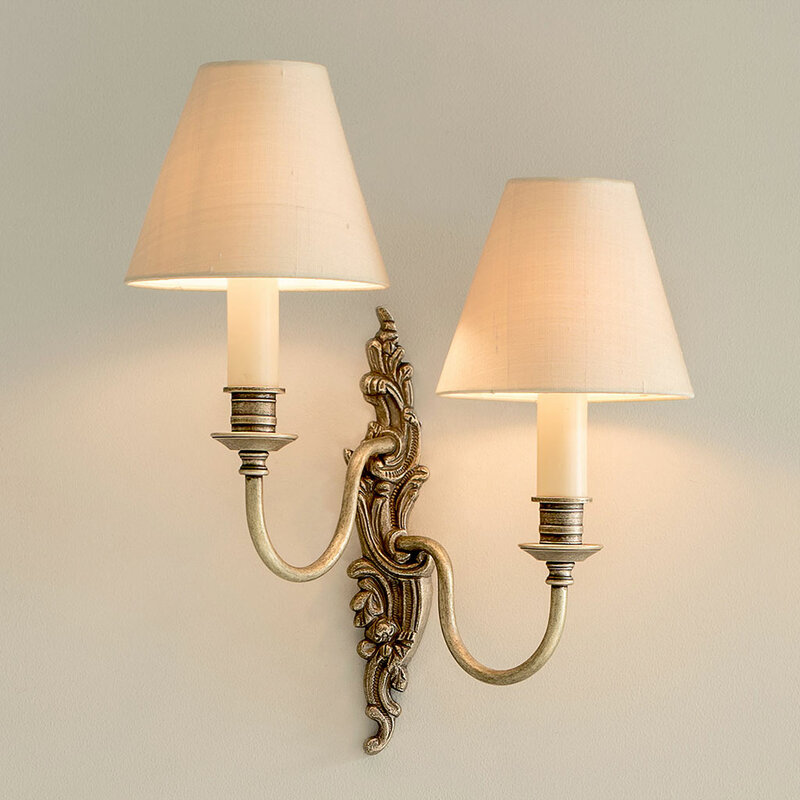 Made in brass with a lightly antiqued finish, these lights have a very vintage feel to them and would look great in a dining room, bedroom or living room. 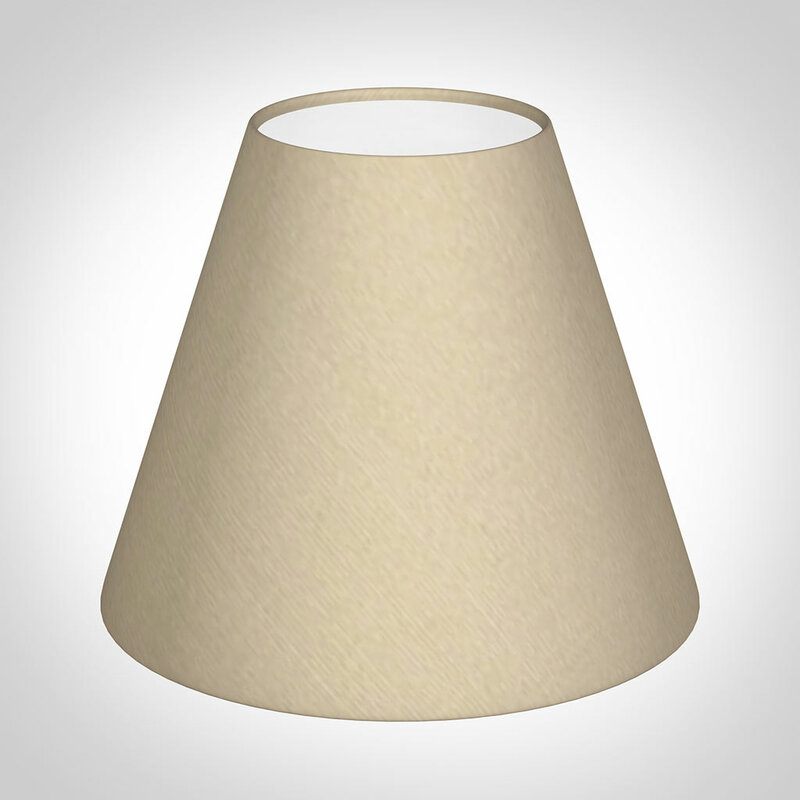 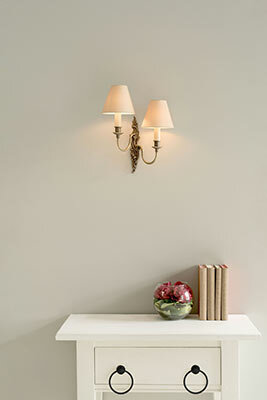 This wall light is also available as a single light - the left, or right sided Everleigh.